Gulf Stream waters of the Atlantic into a busy vacation. vacation in our well appointed villa for the price of a motel room. in the lounge allows the the villa to sleep up to 8 people. $10/day (can be paid locally on request). Personal Webpage link above or Contact us. 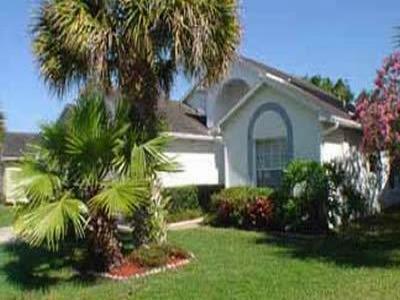 local amenities and within 20-25mins of all the Orlando attractions. within 20-25mins of the villa. Payment in £UK or other currencies can be arranged. Rates for longer stays in lower seasons - negotiable. $200 security deposit returnable after cleaning inspection. Full rental fee is due 6 weeks prior to arrival.